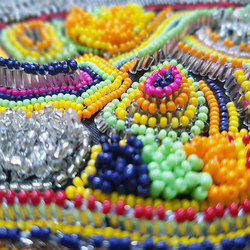 Bead Work allows our clients to transform the plain bought fabrics into unique and personalized garments. Making use of the creative sensibilities, our craftsmen create stunning pieces combining fine colorful threads in attractive beaded embroidery stitches such as chain stitch, back stitch, couching and others as desired by clients. Keeping in mind the diverse requirements of our esteemed clients, we are offering an excellent range of Fabric Manipulation Beaded Embroidery Work services. These provided hand embroidery beads work services is rendered in various designs and patterns using optimum quality fabric and yarns by our skilled seasoned craftsmen. These offered provided hand embroidery beads work services rendered by us is an ideal choice to design ladies garments like gowns, suits, sarees, patiyalas and many more for various special occasions. This service is provided using traditionally ethnic as well as modern material and choices as per the information provided by the clients. 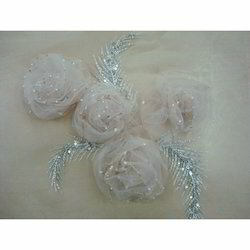 In order to retain our goodwill in this industry, we are offering a latest array of Fabric Manipulation Beaded Embroidery Work. 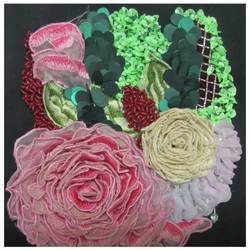 Our range of these embroidery work services is widely acclaimed for its colorful threads, intricate embroidery, vibrant color combinations, and beaded embroidery stitches such as chain stitch couching and back stitch. Crafted under the supervision of our designers, our range of these services can be customized in accordance with the designs and other specifications provided by the clients. By keeping track with the latest fashion trends, we are bringing an attractive range of Fabric Manipulation Beaded Embroidery Work. 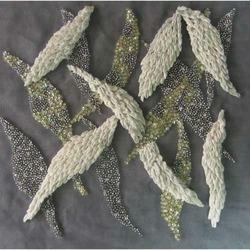 Our offered hand embroidery beaded ari work is very famous for its intricate look and delicacy. These services can be offered to host of apparels garments. 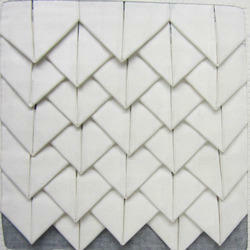 These ari works services are available at most competitive price. Owing to its best in finishing and unique designs, this offered work is broadly demanded among the clients. 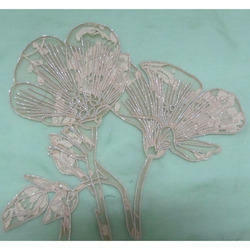 In order to retain our goodwill in this industry, we are providing Fabric Manipulation Beaded Embroidery Work , which is rendered in various designs and patterns using optimum quality fabric and yarns by our skilled seasoned craftsmen. 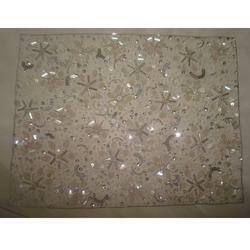 The beads work rendered by us is an ideal choice to design ladies garments like sarees,suits, patiyalas. Focusing on the on the international fashion spectrum, we bring forth a stylish and designer collection of Fabric Manipulation Beaded Embroidery Work. 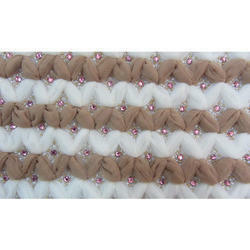 Offered beaded embroidery job work services includes different colors like brown, green, pink etc. 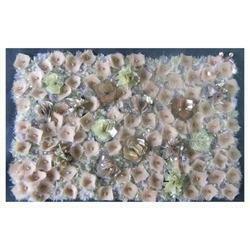 provided beads are available in various sizes and are threaded together in designs like flower, leaf, etc. 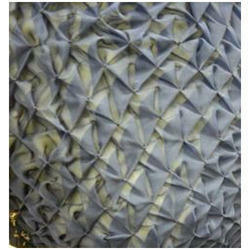 by our artisans to craft designer fabrics. Moreover, we offer this provided services to our valuable clients at reasonable rates. Keeping in mind the diverse requirements of our esteemed clients, we are offering an excellent range of Beaded Embroidery Work services. These provided hand embroidery beads work services is rendered in various designs and patterns using optimum quality fabric and yarns by our skilled seasoned craftsmen. These offered provided hand embroidery beads work services rendered by us is an ideal choice to design ladies garments like gowns, suits, sarees, patiyalas and many more for various special occasions. This service is provided using traditionally ethnic as well as modern material and choices as per the information provided by the clients.